Piglet is a small, friendly little chap with a big heart who, despite being afraid of almost everything, can be very brave at times, particularly when on an adventure with his closest friend Winnie the Pooh. 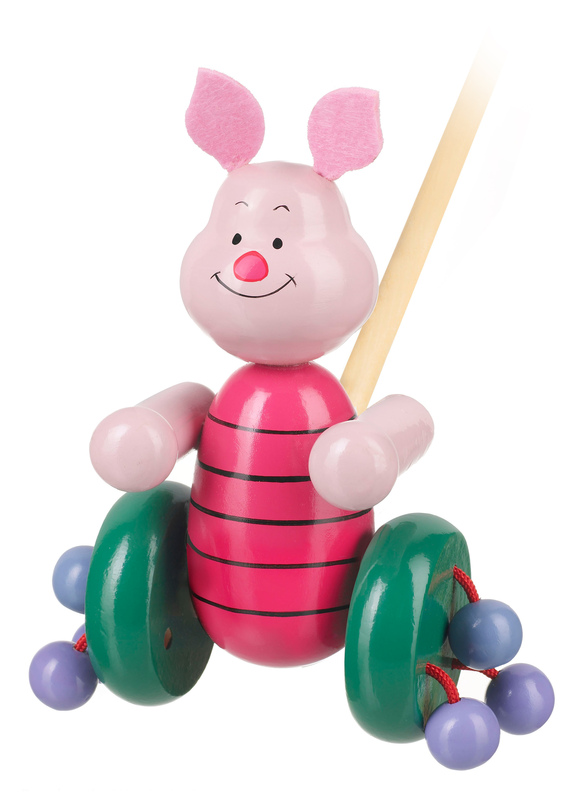 This Piglet Push Along from Orange Tree Toys has a pink body, matching felt ears and emerald green wheels. It is beautifully detailed with Piglet’s friendly face and long magenta shirt with black stripes! A classic wooden push along toy with colourful wooden beads that make a great clacking noise when pushed. 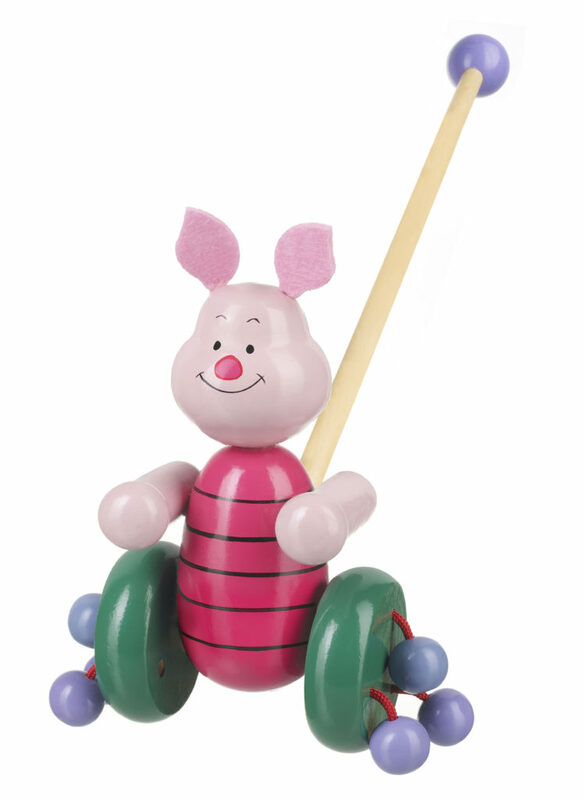 Children familiar with the classic children’s book will adore this beautifully crafted Piglet Push Along from Orange Tree Toys. A.A. Milne’s timeless stories about a boy, a bear, and his friends have been delighting children for generations. Piglet is a small, friendly little chap with a big heart who, despite being afraid of almost everything, can be very brave at times, particularly when on an adventure with his closest friend Winnie the Pooh. 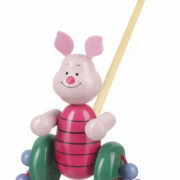 This Piglet Push Along from Orange Tree Toys has a pink body, matching felt ears and emerald green wheels. It is beautifully detailed with Piglet’s friendly face and long magenta shirt with black stripes! A classic wooden push along toy with colourful wooden beads that make a great clacking noise when pushed.